Height: 81cm (32″), Diameter of top: 63cm (25″). A pair of bespoke side tables. 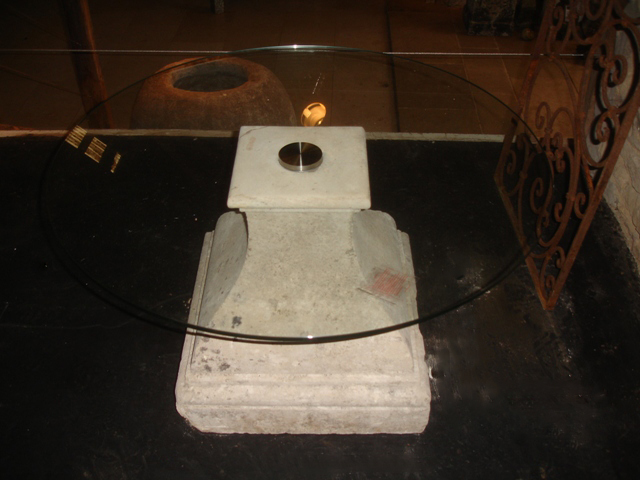 The circular detachable glass tops on adapted 18th Century limestone urn bases. Dimensions: Height; 53cm (21″), Diameter; 90cm (35.4″). 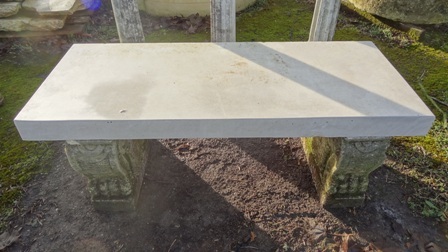 Portland Stone Bench with natural stone carved bases. Height: 47cm (18.5″), Width: 51cm (20″), Length: 126cm (49.5″). A late 19th Century Wrought Iron Bench. 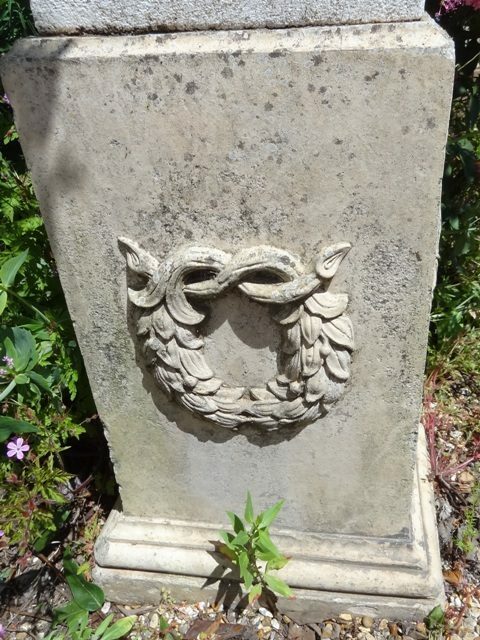 Pair of Weathered Stone Capitols. Height: 62cm (24.5″), Width at base: 57cm (22.5″). 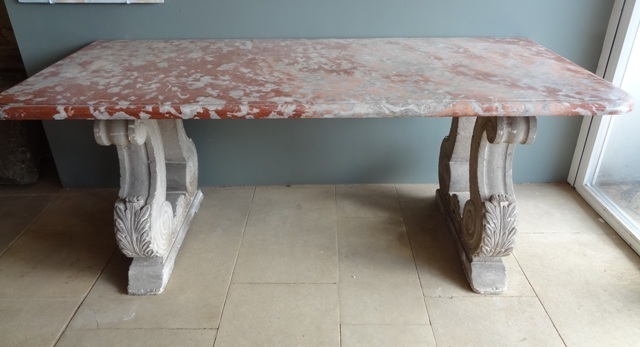 A 19th Century Languedoc Marble Console Table on Pierre De Bourgogne Stone Supports. Height: 75cm (29.5″), Length: 188cm (74″), Depth: 82cm (32″). 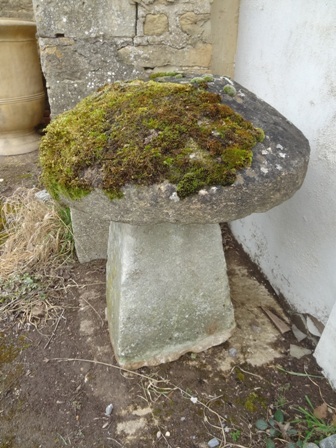 Stone Plinth. Height: 65cm (25.5″), Width: 35cm (14″). 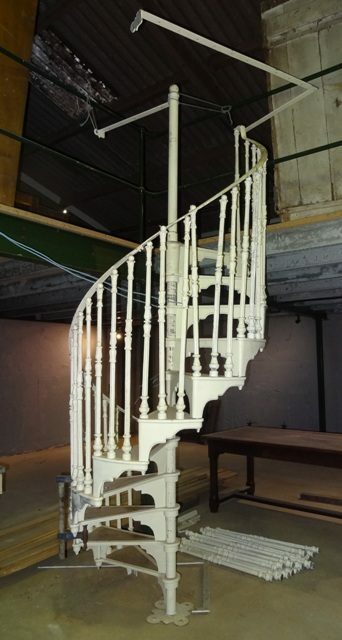 Cast Iron Spiral Staircase. Height: 305cm (10ft), width: 92cm (3ft).